The following cheat sheets are 100% free. They're practical, easy to use and if you're ever stuck in your writing process, they'll help you through your slump. 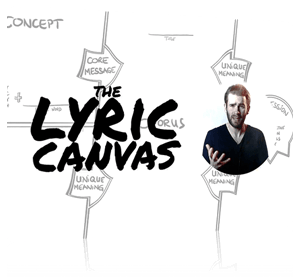 My most popular product, the Lyric Canvas, helps you write lyrics quicker and reliably. Print out a stack and take them to your next writing session. Learn How To Use It. Includes: Several print-ready PDFs for different paper sizes plus a detailed instruction sheet showing you the ins and outs of the Canvas. 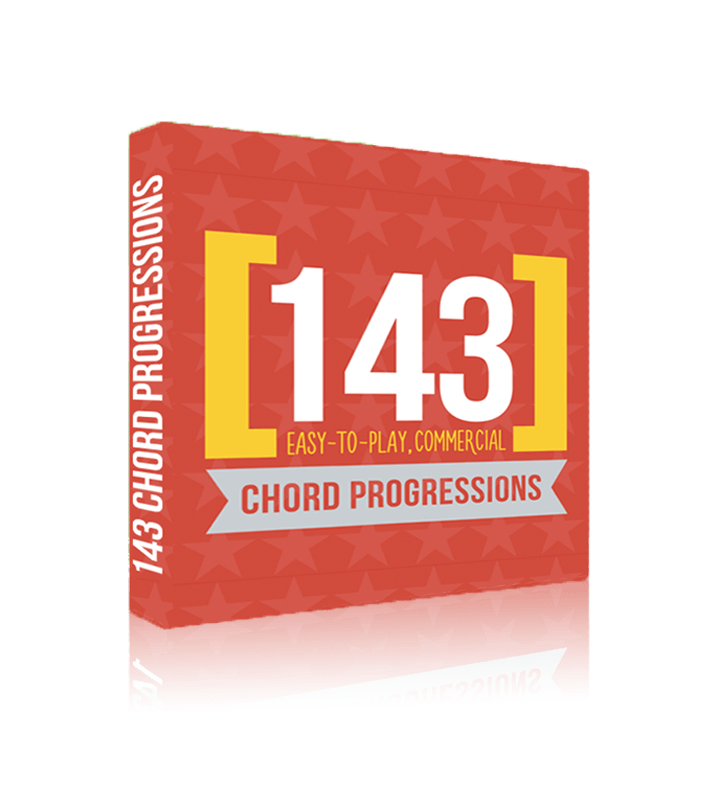 Includes: PDF with a list of 143 Chord Progressions, (102 in Major, 41 in Minor). Just Copy/Paste for your Songs and Banish Writer's Block for good! Ever wonder how the greatest hooks of all time are created? In this free PDF, you will learn Taylor Swift's formula for hooks (ONM x root) + (HN x DL). The PDF includes an explanation & examples. Learn More. 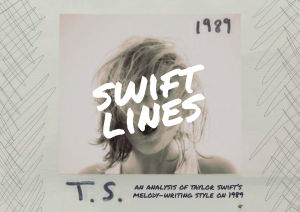 Includes: A PDF with the "Swift Line", a formula for writing melodies like Taylor Swift on 1989. The following courses are all about fixing the little problems songwriters have. If you got 10 minutes a day, you can take these challenges to get over these shortcomings once and for all. Includes: 30 days of exercises for all skill levels. I did this challenge back in 2011 and I still profit from it today. 30 days will change the way you look at writing lyrics forever. 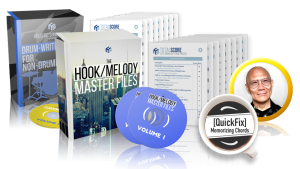 Includes: 30 emails with 30 exercises, plus a bunch of .mp3s and tons of instructions. 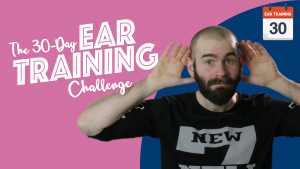 You can do this exercise on your way to work! Includes: 30 .mp3s with detailed instructions and exercises. 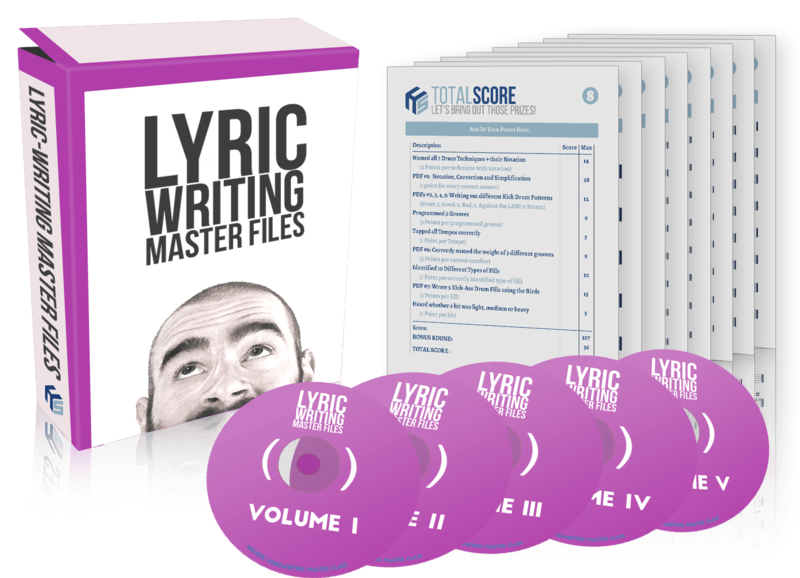 Wanna take the next step and become a True Songwriting Master? 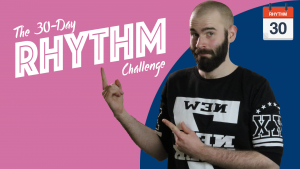 In these multiple hour-long courses, I take you by the hand as we explore topics such as melody, groove and song build. Now the bestselling songwriting book in Germany and #4 world-wide! Includes: 317 Techniques and 331 Examples from recent Hit Songs by Beyoncé, Drake, Rihanna, Justin Timberlake, Katy Perry, Sia, Maroon V, Ariana Grande and many, many more. 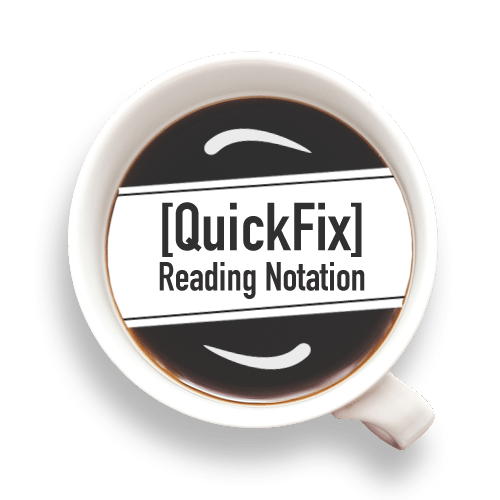 Includes: 2,5 hours of video, a bonus PDF and a Bonus Quickfix class on Reading Music. And for the first time ever: I rewrite some of YOUR lines and explain the reasoning behind my choices. Includes: Over 2.5 hours of hard-hitting techniques to help you master the melody-writing enigma. Includes 7 proven formulas for creating unforgettable lines. 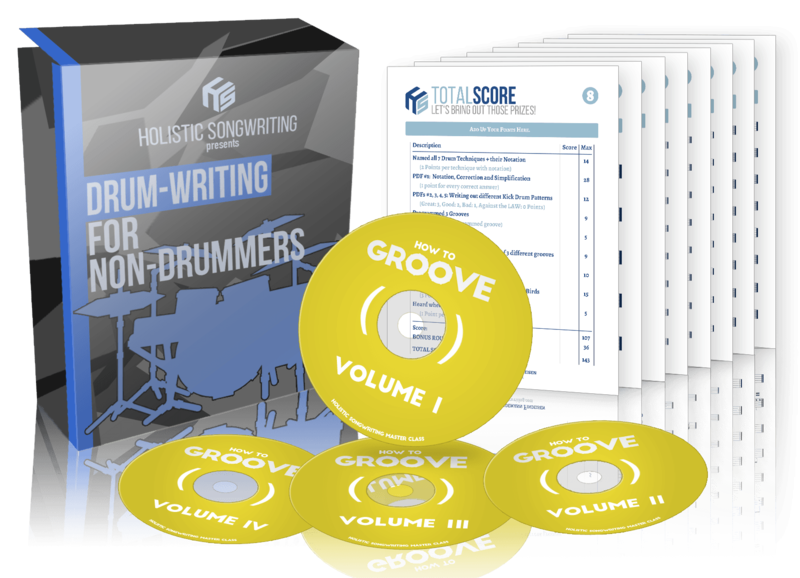 Includes: Over 4 hours of practical, step-by-step guides to write Groovy Drum Tracks, Realistic Sounding MIDI Drums and Clear & Concise Notation any drummer can read. Also includes 9 PDFs and an hour long Bonus Masterclass feat. percussionist Nippy Noya (Sting, Chaka Khan). Includes: 3,5 hours of commercial lyric-writing technique, including several PDFs, Updates when fashion changes and full service. Over 9.5 hours of production goodness! Includes everything you need to know to start producing your own music, even if you're not a techie. Buy now. Includes: Over 9.5(!) hours of Music Production tutorials! 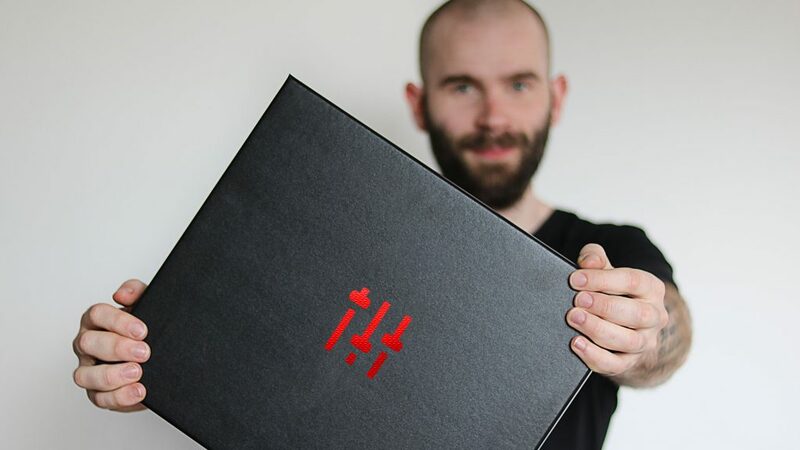 What do buy, how to work, all the shortcuts, how to use Compression, EQ and Reverb, how to mix, fix and flex, all in one easy-to-follow course. 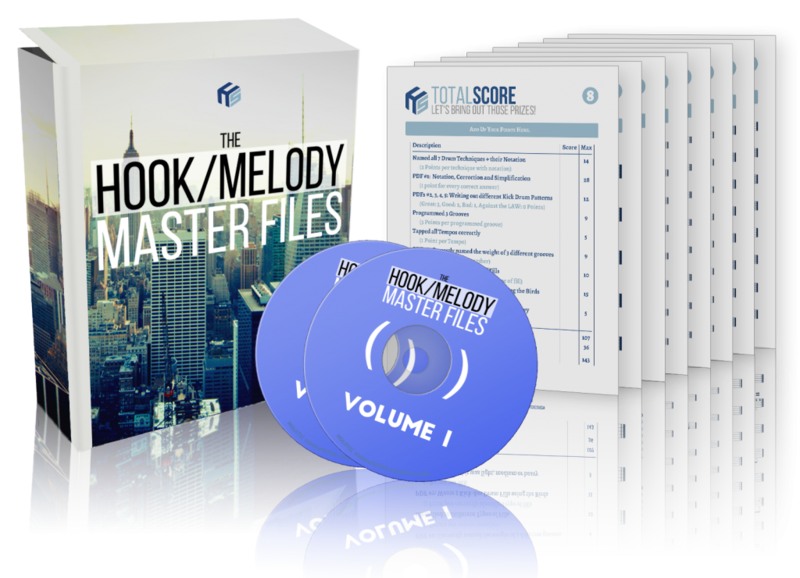 Includes the Hook/Melody Master Files, the Lyric-Writing Master Files, the Drum-Writing Master Files, all Quickfix classes and the Nippy Noya on Groove Masterclass! Buy now. "The fun really only begins once you know the rules and Friedemann lays them out in the clearest way possible"
"Today's biggest bands and artists all have something in common and Friedemann unravels this secret in his own fascinating way. He combines storytelling in movies with lyric writing and song build. The analysing goes deep and the tools are useful and inspiring. Highly recommended"
"f you are interested in writing and composing songs - which you can stand behind - look no further. This is a book for songwriting in the 21st century. Things come together, there will be many 'aha!' lightbulb moments, whether 'so *that's* what I did right!' or 'so *that's* what I was doing wrong this whole time!' Findeisen is an excellent guide." - 5 Star Amazon Review of "The Addiction Formula"
"I'm a songwriter/producer living in LA. 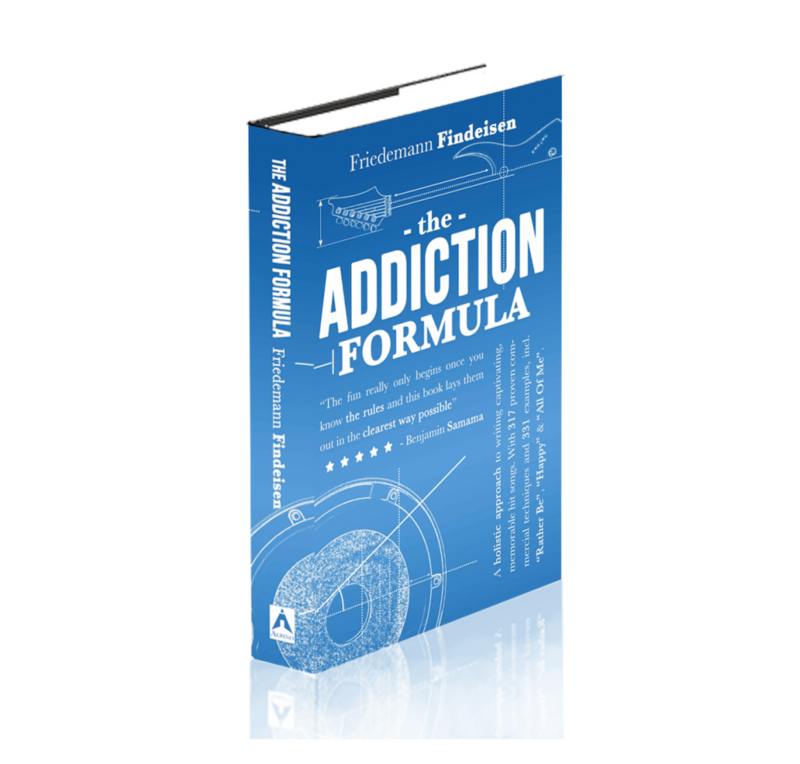 I became a big fan of yours after reading The Addiction Formula. It has been a serious game changer for me." "You are awesome and I appreciate you sharing your knowledge... Bought your book recently and got a lot out of it. Just wanted to say thanks." "I got the book recently and it really makes a lot of sense. Every song you like uses it. After reading the book I listened to a couple of songs of some town musicians that I thought were boring and now I found out why. I am so glad I found this book, don't let the fact that this dude might be your age stop you from buying the book. Do yourself a favor, don't be cheap. If you care about your band, buy it!" - 5 Star Amazon Review for "The Addiction Formula"
"Just received "The Addiction Formula" and I'm enjoying it a lot man! 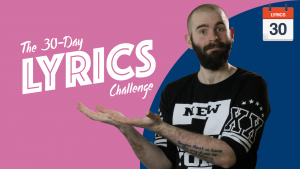 Lots of good ideas and examples about how to control energy in a song." "Hey Friedemann. I'm loving the course! You've done a fantastic job. I'm off for a short break holiday tomorrow for a few days and really excited to be working through it. My goal is to significantly improve my programmed drums and from what I've seen in the course so far, I've learn't loads." "I enrolled in Friedemann’s self-paced Drum-Writing for Non-Drummers course and I’ve been blown away by the knowledge I’ve gained. I have a much better understanding of how to write better grooves. If you want to learn how to communicate with a drummer and how to properly notate drums on a stave, I recommend taking this course. You’ll be well on your way to producing better music."